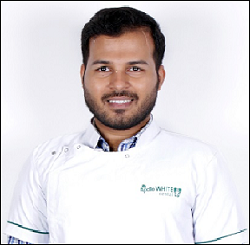 Dr. Abbas graduated from Rajiv Gandhi University and received his dental degree from Al-Ameen Dental College and Hospital, Vijayapur. His endodontic specialty training was completed at the Department of Endodontics at Rajasthan Dental College and Hospital, Jaipur, Rajasthan. His interest in advanced dentistry has always been his strong point, with having completed training in Digital Smile Designing (DSD – ADA certified). He is currently training for the advanced use of Laser Dentistry, at Manipal University, not only in the field of endodontics but also for conservative and esthetic treatment. Currently, Dr. Abbas is a member of the Indian Dental Association, Indian Academy of Conservative Dentistry and Endodontics. He is also a member of Indian Endodontic Society. In addition to teaching at SD Dental College and Hospital, Maharashtra, Department of Endodontics, he was also a member of the college Scientific Research Committee during his tenure. Dr. Abbas believes in treating not just teeth, but patients as a whole, with emphasis on relationships and maximizing the potential for positivity during all patient encounters. He loves to bring that level of attentiveness and personal touch while comforting each and every one of his patients. Outside of his passion for patient care, Dr. Abbas loves poetry, and also traveling, great restaurants. But, he also enjoys hiking, the numerous avenues to explore. Languages: English, Hindi, Gujarati and elementary Kannada and Arabic.